Hand carved with amazing artistic beauty, this marble statue portrays an enchanting angel in a pose of serenity and grace. 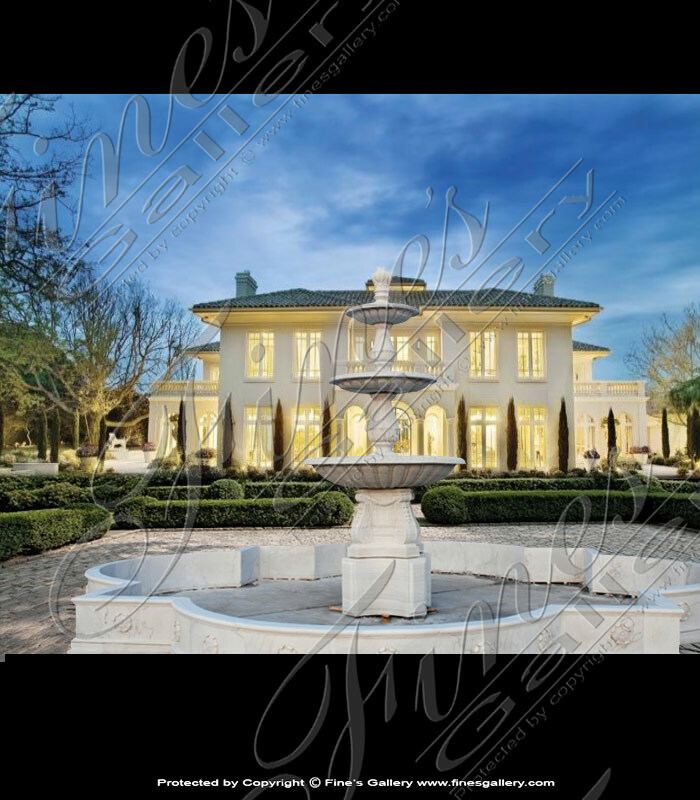 The color of the marble is light beige with gorgeous golden tones. An incredible work of art to watch over your loved one. 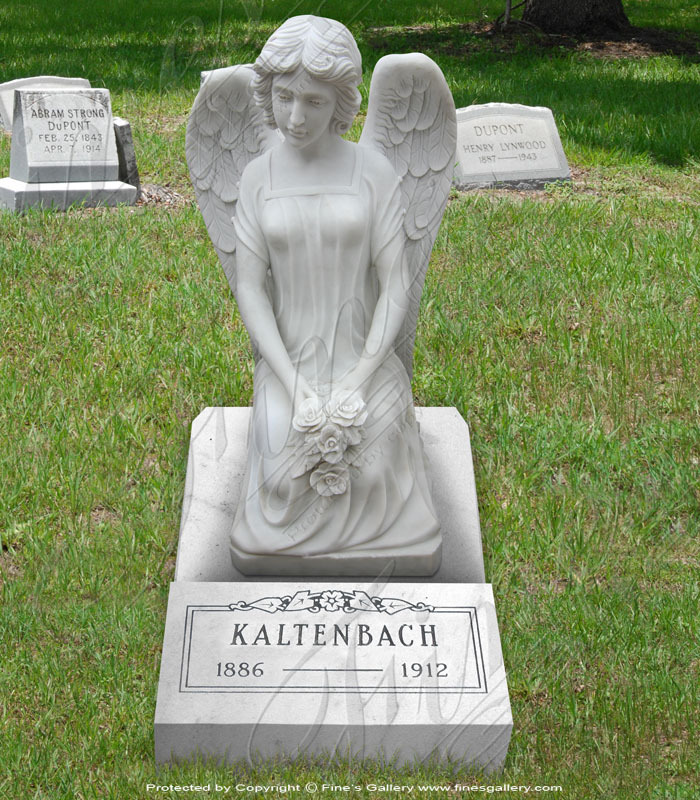 This beautiful marble memorial is made from genuine marble and hand carved with stunning craftsmanship. 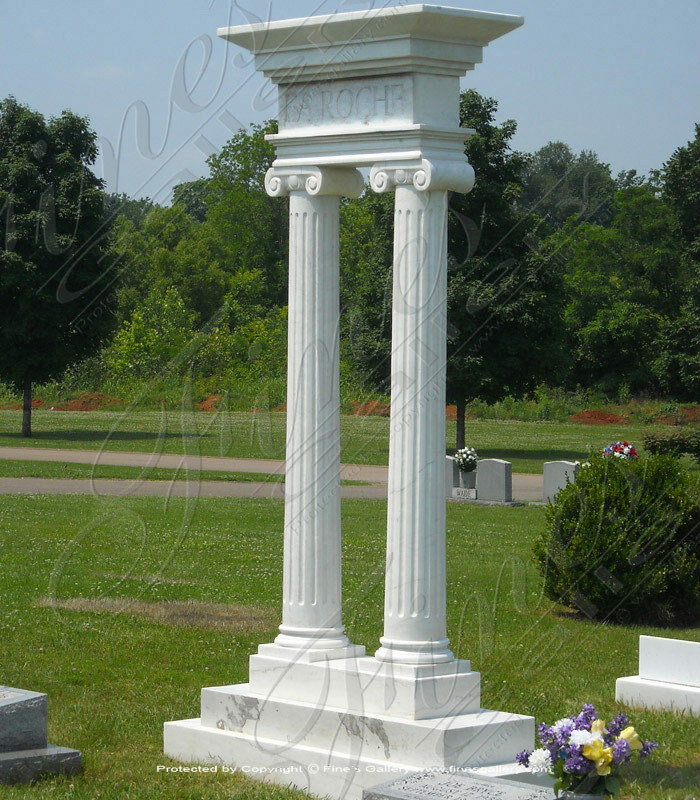 An elegant design features two decorative fluted columns supporting an inscription piece with personal customization. Call or email us today. 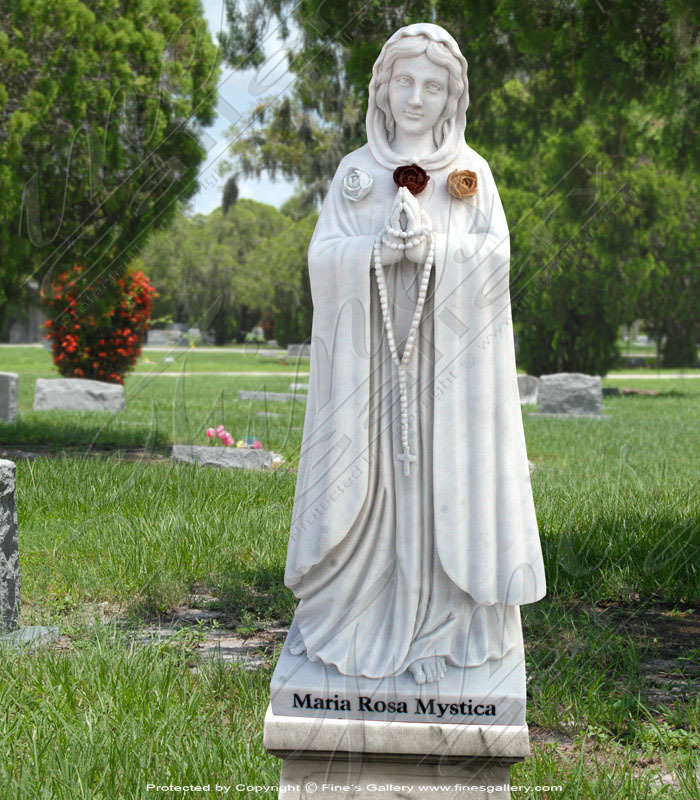 Maria Rosa is clothed in pure white garments and colorful roses which symbolize her spiritual purity and her warmth of heart. Her face is skillfully hand carved to give her an everlasting look of peaceful beauty, her hands clasped in faithful prayer. 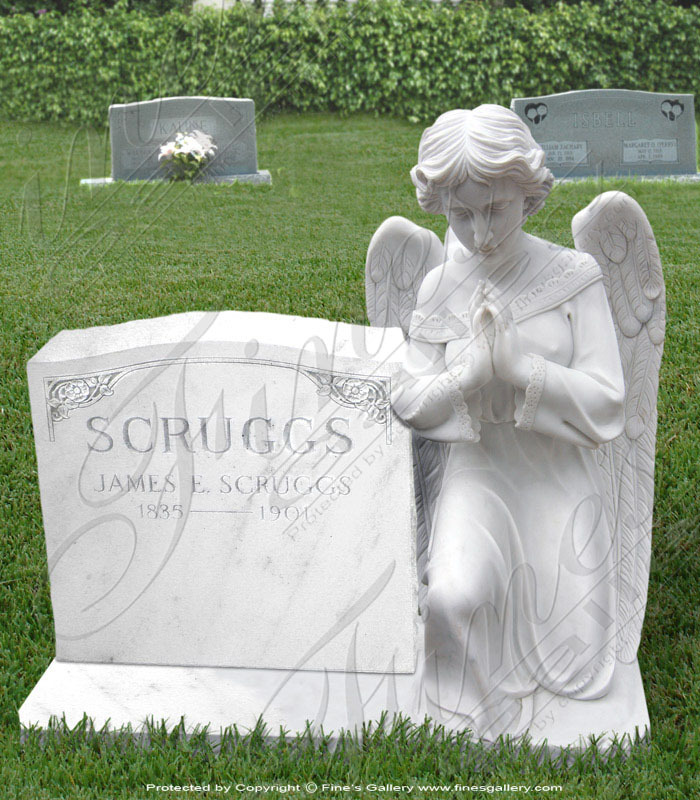 Made from pure white marble, this beautiful memorial features a young angel gracefully kneeling in prayer beside a gravestone. Artistic beauty is used to sculpt the delicate and ornate detail of her dress and wings, creating a mood of timeless elegance. 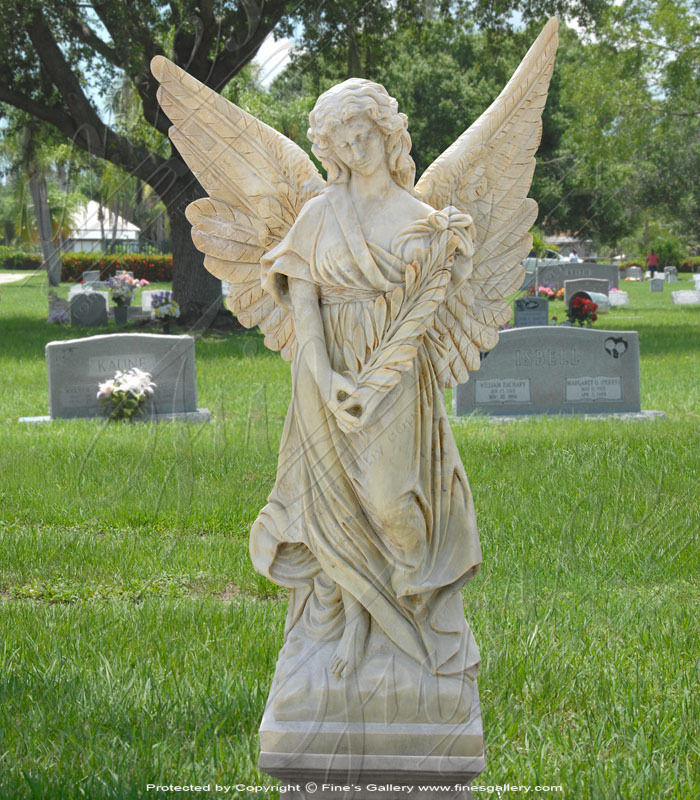 This beautiful statue of an angel kneeling in prayer beside a gravestone is carved from pure white marble. The artist has masterfully captured the moment she glances up, and with a look of spellbound joy, beholds the wondrous magnificence of heaven. 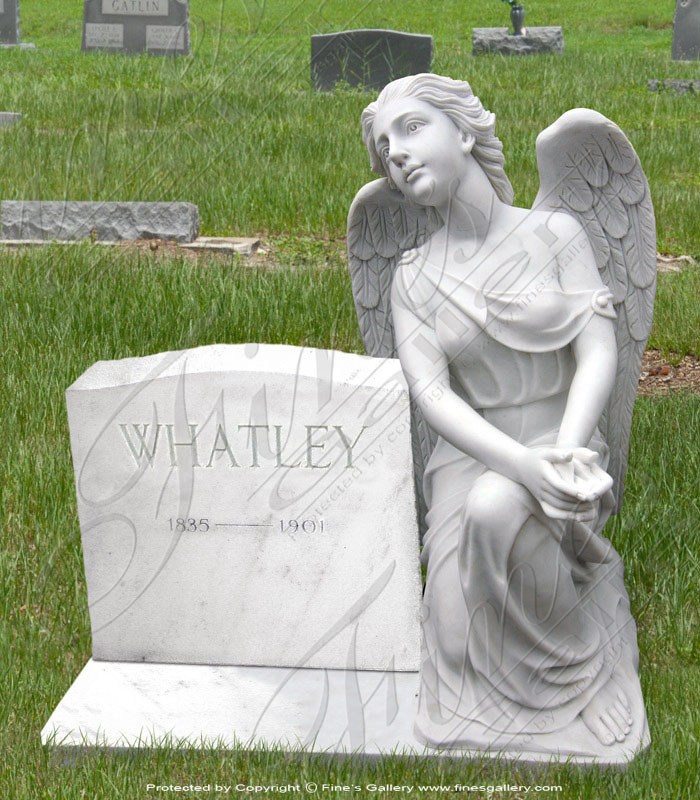 Commemorate the death of a loved one with this beautiful angel memorial, hand carved with expertise from fine white marble. She kneels in contemplative stillness before the grave site, her presence creating lasting impressions of purity and grace. This angelic child fills the surroundings with innocence and playful joy. He pours a never-ending stream of water from his little bucket. Flawlessly crafted from the lasting quality of bronze, making your home eternally beautiful. 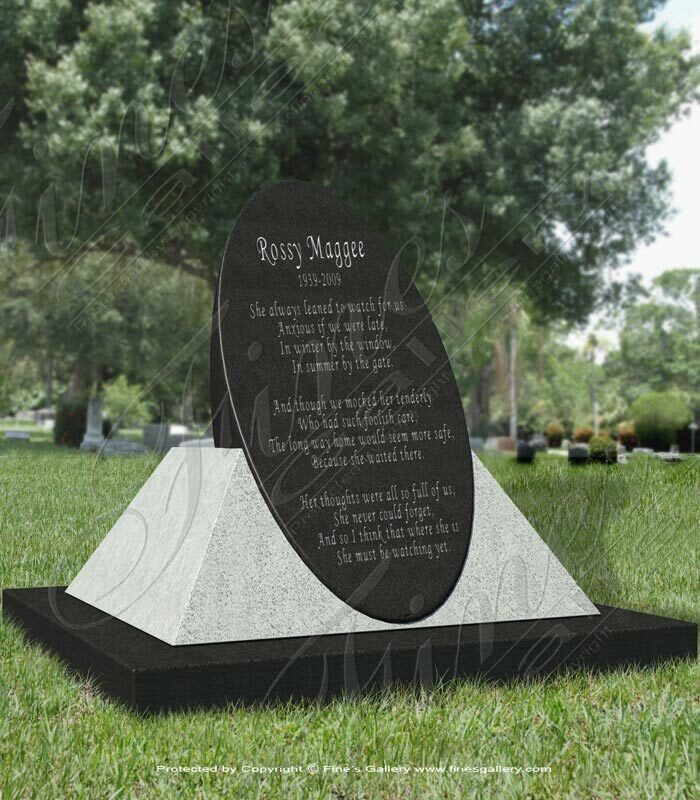 This beautiful memorial with its contrasting black and white granites is the perfect piece to commemorate your loved one. Its simple design features an oval shaped inscription stone that our team of artisans will customize. Please contact for assistance. 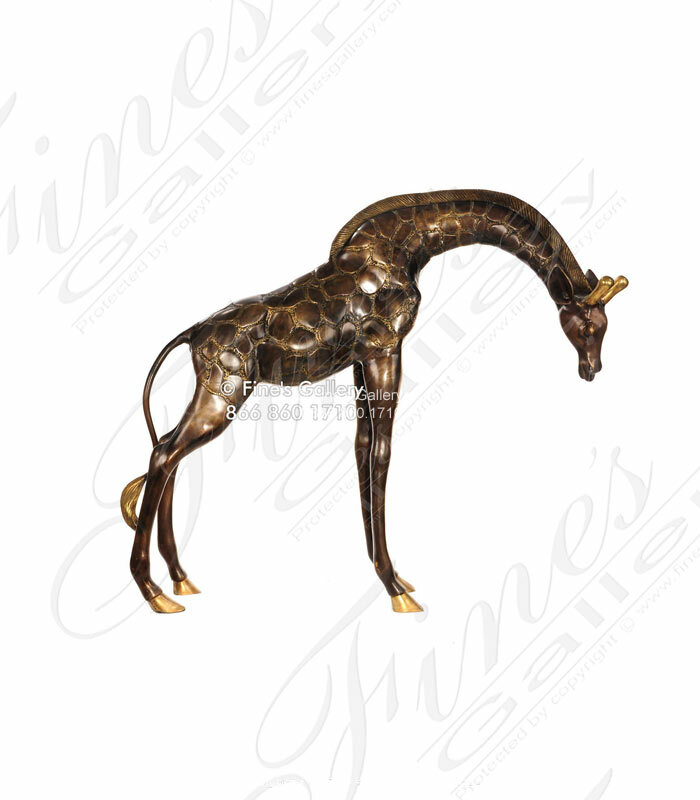 A very high quality bronze giraffe statue in classic bronze with gold highlights. 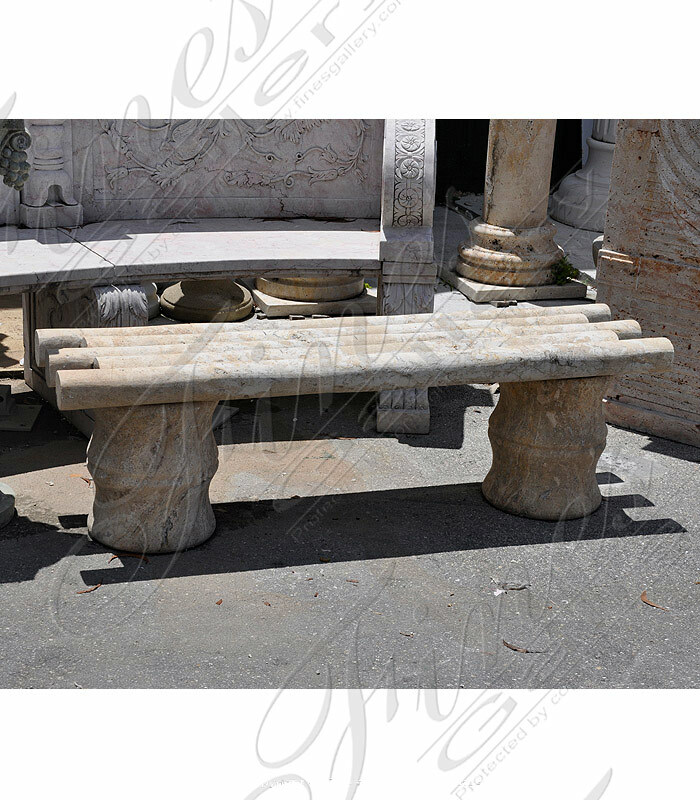 A pair of transitional travertine benches are perfect for any landscape application. Price is for a pair. 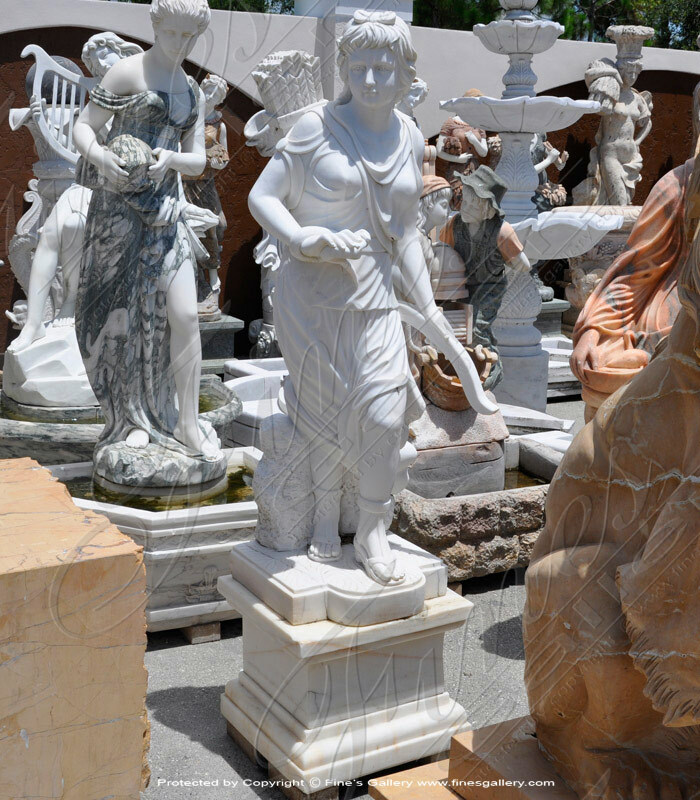 The infamous mythological Diana marble statue is carved from 100% natural solid marble. Pedestal is sold seperately! 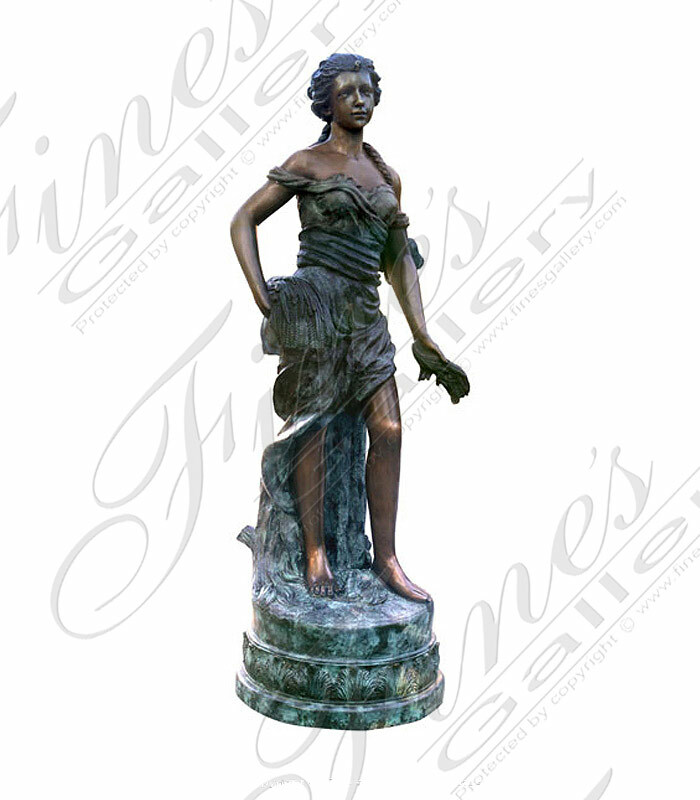 This bronze statue portrays a young beauty, her age as refreshing as the water that sprays from all directions. The classic style of this bronze statue enhances the landscape. Contact the gallery for more details. 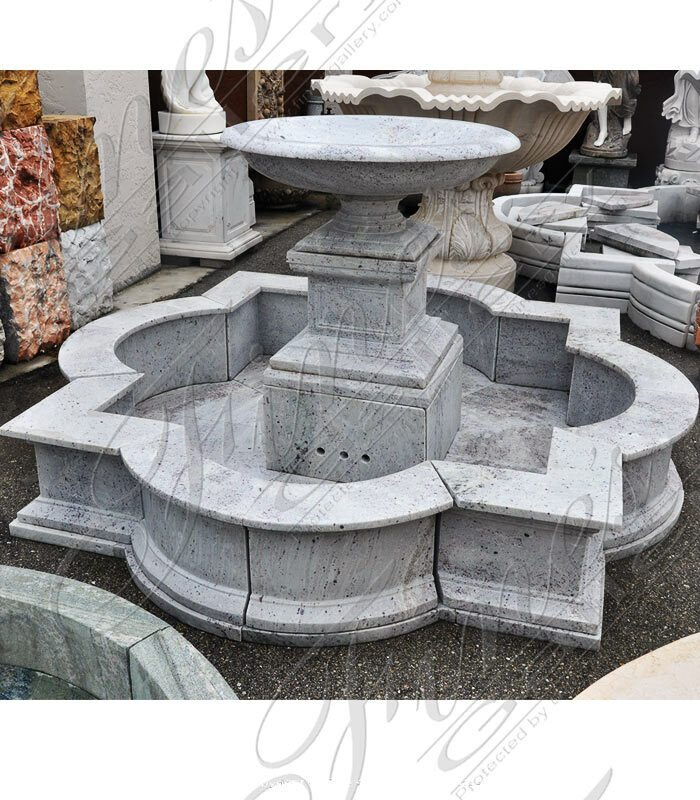 This marble fountain is pure elegance with its aesthetic design and charming square quatrefoil pool. A classic three tier style made from gorgeous white marble, this piece adds a sense of relaxation and luxury to the surroundings. 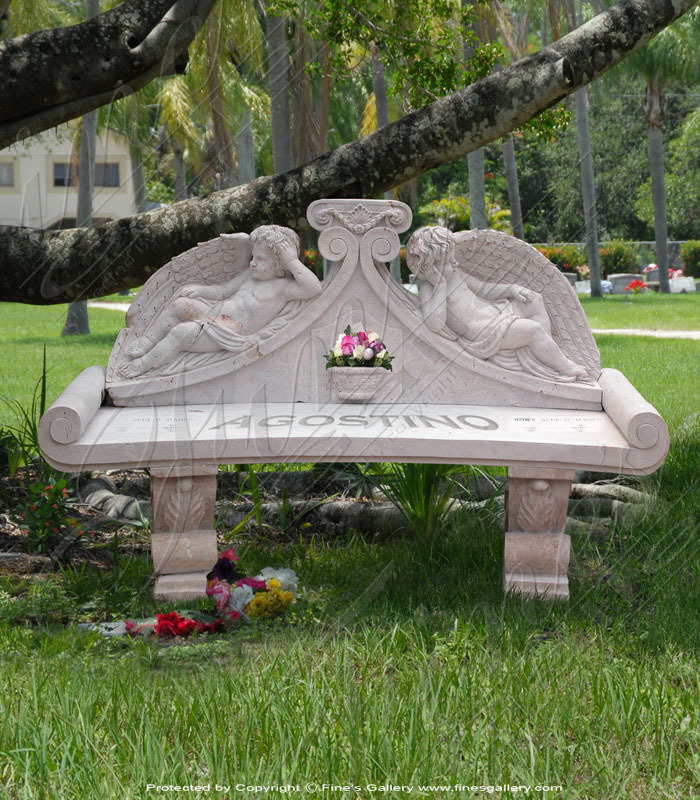 Honor your loved one with the beautiful marble bench. Immaculately hand carved, this spectacular design features two angel children and a small planter for flowers. Contact us today for complete details. 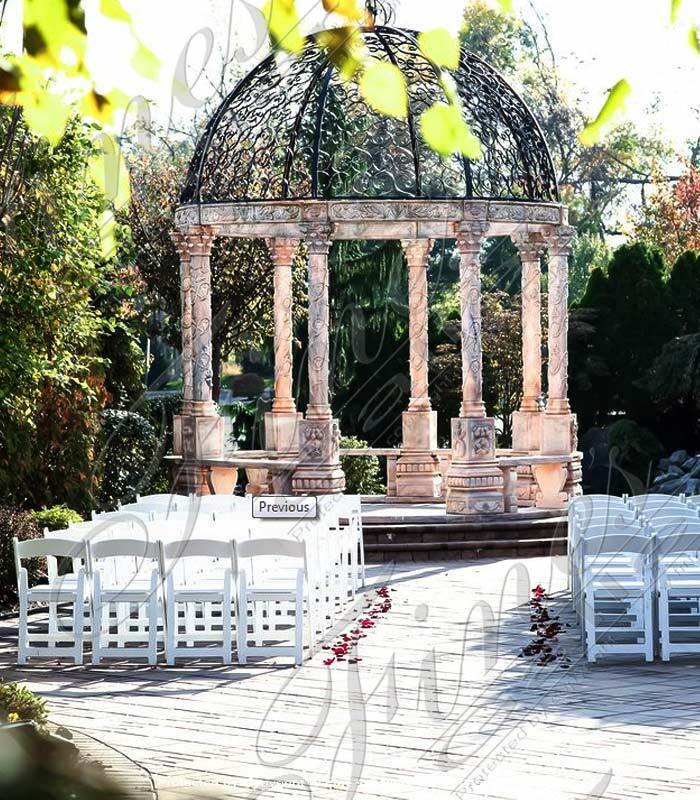 The description for this beautiful Marble Gazeebo is not available at this time. If you require additional information for this product please call 1-866-860-1710 and talk with a sales representative at anytime.